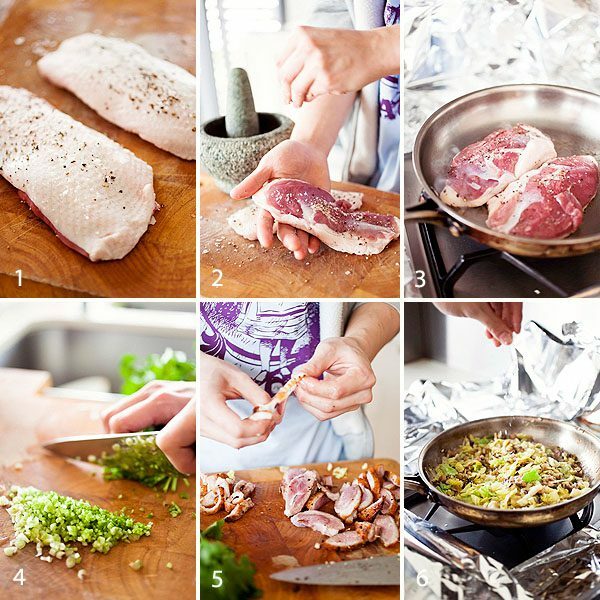 Picture 1, 2, 3 – Season the duck breasts with salt and pepper and fry on hot pan with some vegetable oil – skin side down, turning it when skin turns golden brown and cook for further 5 min just to seal the flavour. Picture 4 – Meanwhile, chop the coriander, shiitake mushrooms and chinese cabbage finely. Picture 5, 6 – De-skin and chop the duck breasts into small cubes and put back into the fry pan along with the vegetables this time and the grated ginger. Add 1 tsp of ground white pepper, 1 tbs of oyster and chinese cooking wine, 1/2 tbs of hoisin and fish sauce then stir for around 5 min. 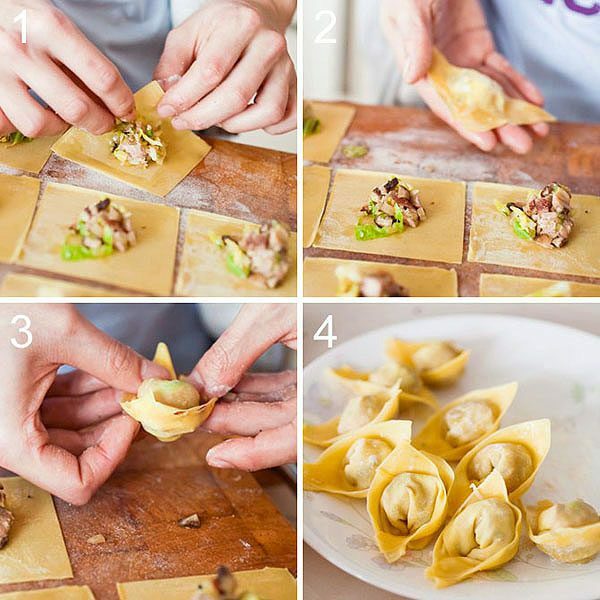 Follow the next step-by-step picture on how to fold the wonton. You can stop at step 2 or go on to step 3. Melt the tub of duck fat in a deep sauce pan and get it ready for the deep frying action. Set on medium low heat, when little bubbles start to appear, lower your wontons in one by one. When they float to the surface and looks golden, they are ready. 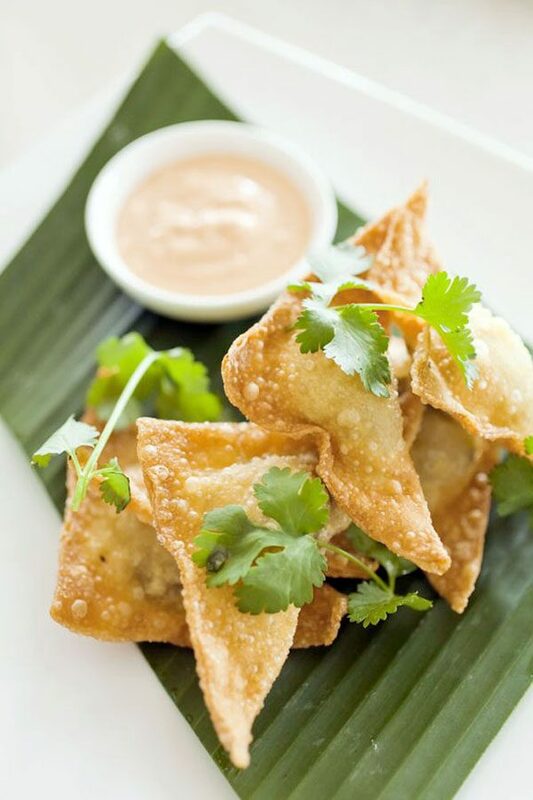 Get your slotted spoon and rest the wontons on sheets of paper towel to absorb excess oil. Dig in! I like to dip mine in the sriracha + kewpie mayo combo. This entry was posted in Starters, The DIshes and tagged asian, deep fry, duck, wonton. Bookmark the permalink.